The Beautiful Vale of Belvoir. 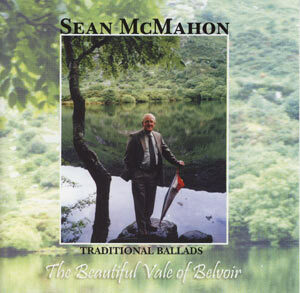 Sean McMahon was born in Clonbrick, Kilkishen in East Clare and has been involved in traditional music and singing all his life. During the eleven years he spent in England he sang in many Irish pubs and clubs. When he settled back in his native country he continued this interest and helped form a branch of C.C.E. in Kilmurry. Sean was also involved in the building and running of Cois na hAbhna in Ennis and of the founding of The Ennis Singers Club.